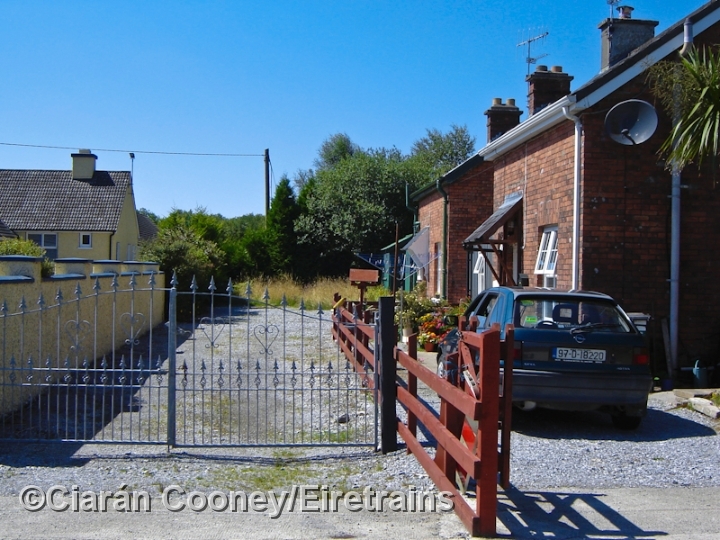 Kilgarvan, Co.Kerry, was one of the small villages to be served by the Great Southern & Western Railway's branch line from Headford Jct, on the Tralee line, to the town of Kenmare, which was opened in September 1893. 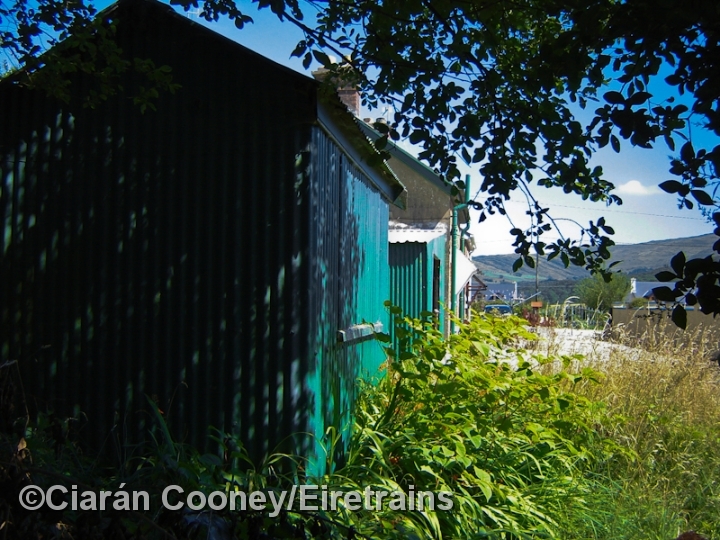 Never a profitable line, the Kenmare branch was closed to all traffic in January 1959, the tracks been lifted the following year. 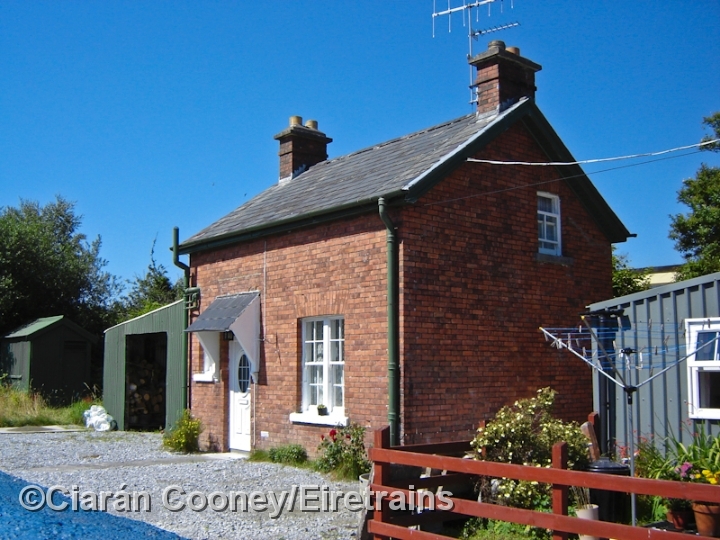 The station at Kilgarvan was the last one before Kenmare. 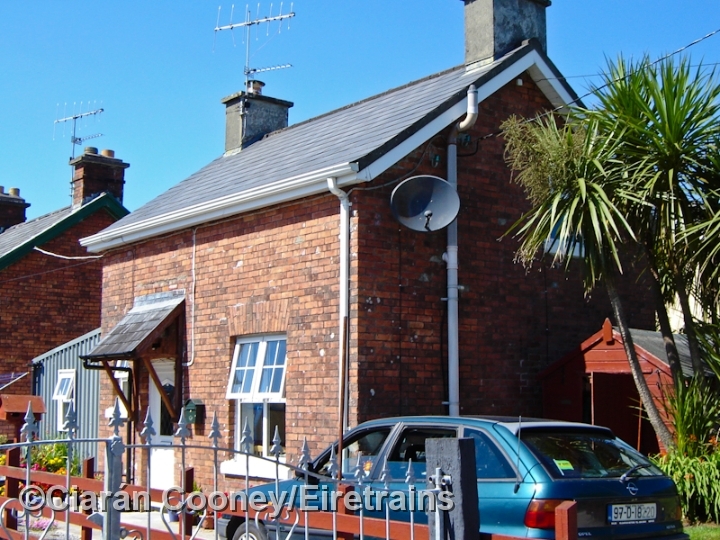 Today it appears to have been demolished but the adjacent station masters house, built of brick and similar to other GSWR branch line types survives, complete with corrugated iron railway shed. 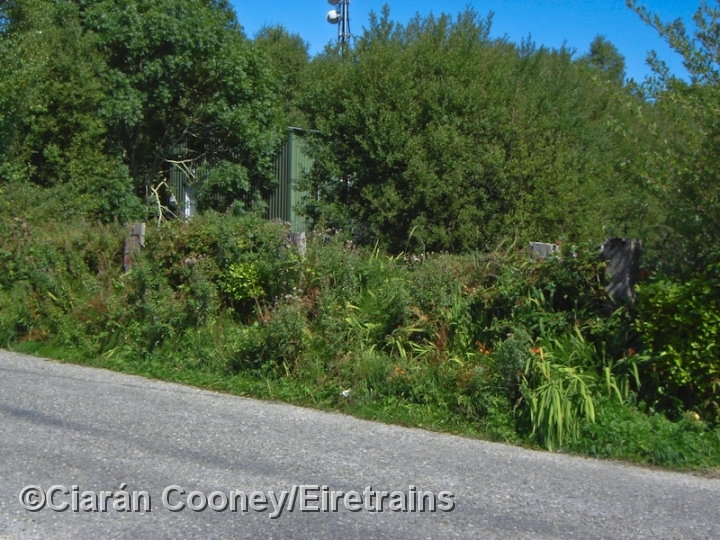 The level crossing adjacent to the station site still retains its concrete gate posts.